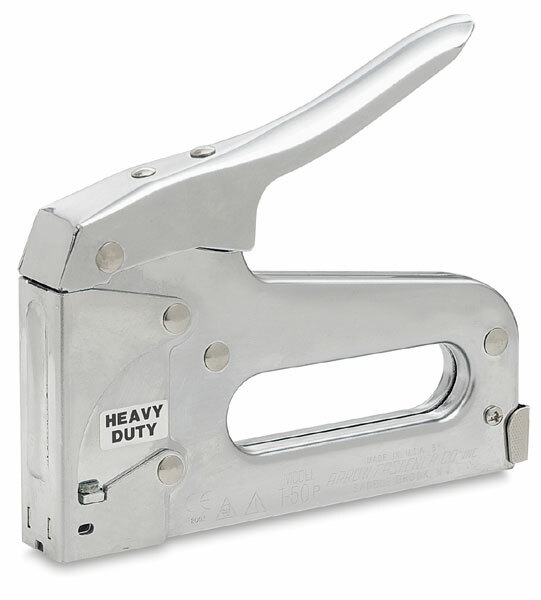 Heavy-duty gun drives heavy-gauge staples into hardest woods-—and even soft metals. All-steel, with high-carbon steel working parts. Chrome finished. Loads 85 staples (T-50), 1/4" through 9/16" with a 3/8" crown. ™ Arrow is a trademark.